Do you know how many parts are involved in your braking system? You have the rotors, the calipers, the brake lines, etc. But did you know that you also have the master cylinder and power booster? All of these things need to be checked regularly. Small leaks can leave you with spongy feel at the pedal or even worse no brakes at all. When you press down on the brake pedal you move fluid through the system and if you have rusty brake lines caused by the salt on the roads or just old age, your pedal could go to the floor and that’s not good. Your brake pads wear out over time, even if you’re easy on the brakes. 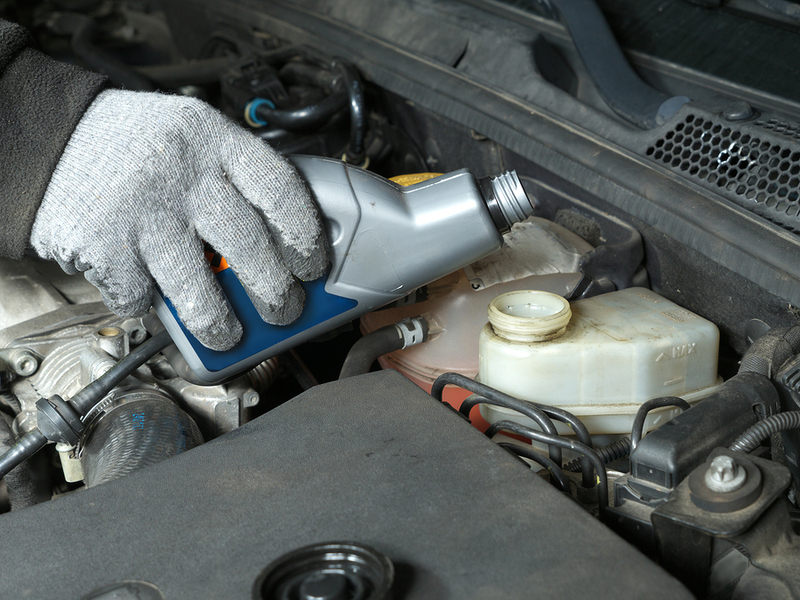 We recommend you get to Elkhart Mechanics on a regular basis to have them checked out. It is important to check your brakes periodically before problems start. It is dangerous to drive a vehicle with brakes that are not working well. At Elkhart Mechanics, we can fix almost any brake problem. One warning sign that your brakes need attention is if you have to press the brake pedal harder than normal before the car slows down or stops. If your brake pedal starts giving more resistance when you step on it, there might be a problem with the vacuum on your brake booster or brake line. If it feels like your brakes pull the car to one side, or if the brakes vibrate when you step on them, the problem might be with your brake pads or brake discs. We at Elkhart Mechanics can diagnose and repair any part of your brake system, whether it is just a matter of replacing brake fluid or brake pads or something more complicated, up to and including replacing the entire brake system. It is a good idea to keep your brake system in the best possible shape, and we recommend bringing your car to us for a check-up every so often. By the time you notice a problem, parts of your brake system may already be badly damaged, and they could be putting unnecessary stress on other parts of your car. If we alert you to a problem with your brake system, we will give you a realistic projection for how long it can go before it starts to cause serious problems. We will never pressure you into making repairs before you are ready to make them. We are true to our promise of not surprising you with unexpected and unauthorized repairs, and you will never have to pay for any repair until you have given us permission to do it.